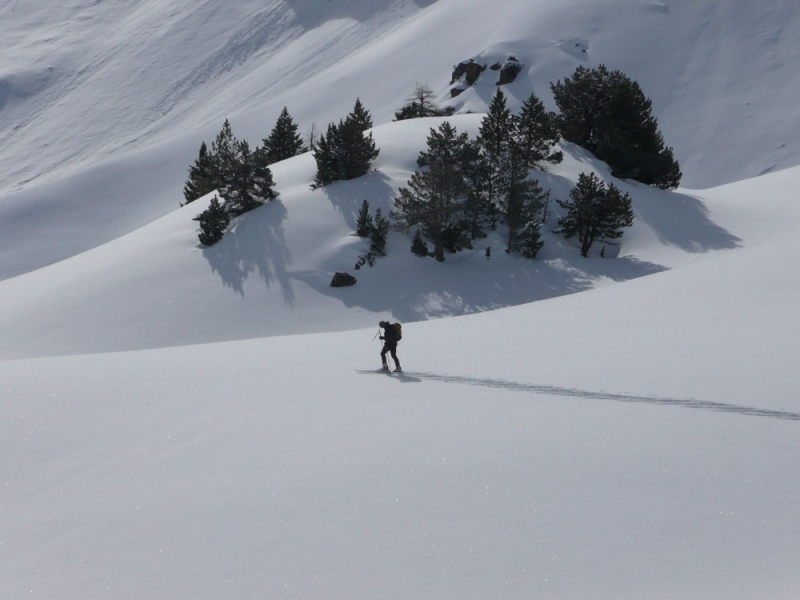 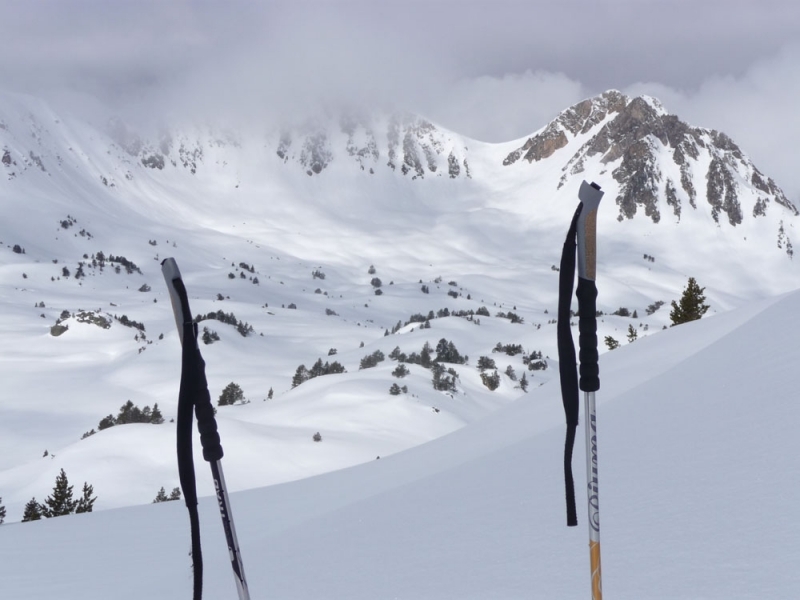 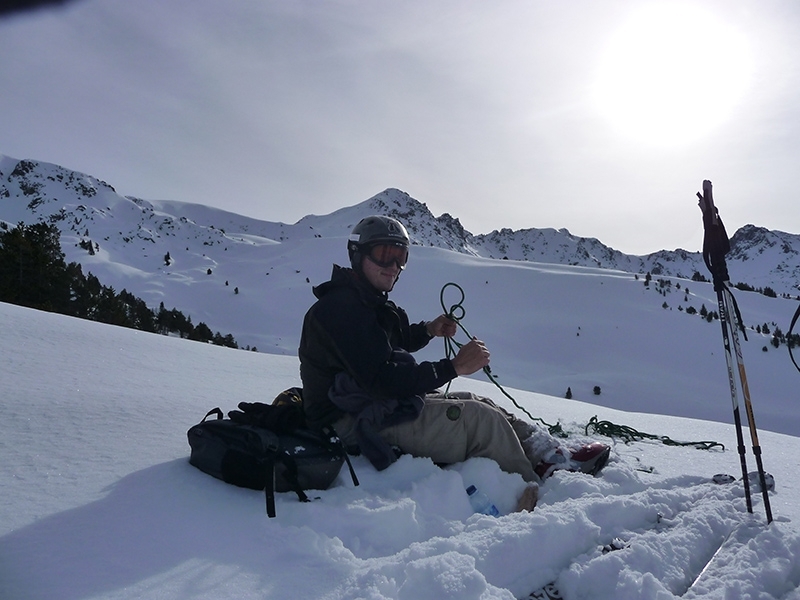 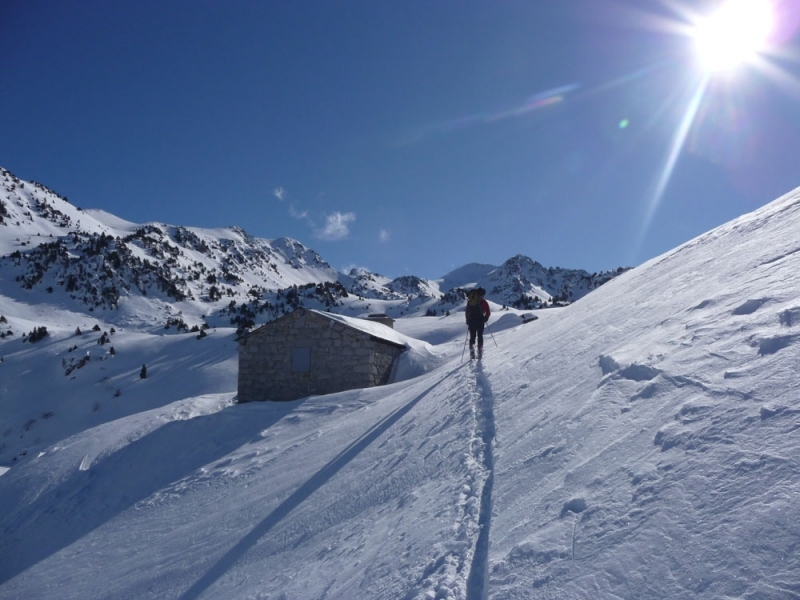 Ski touring Pyrenees. 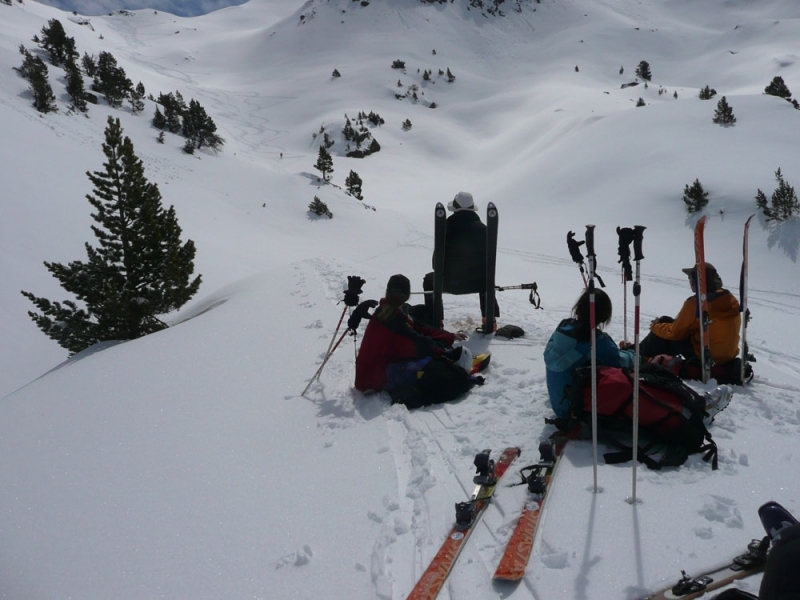 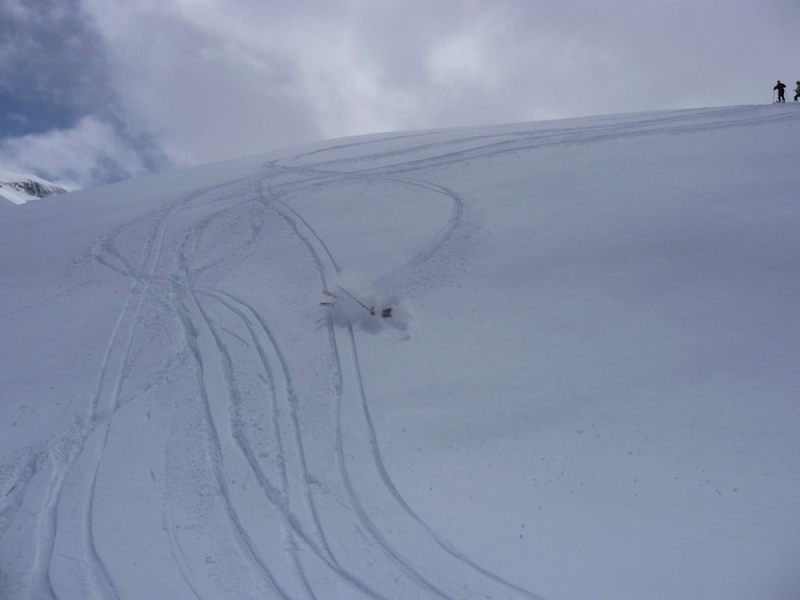 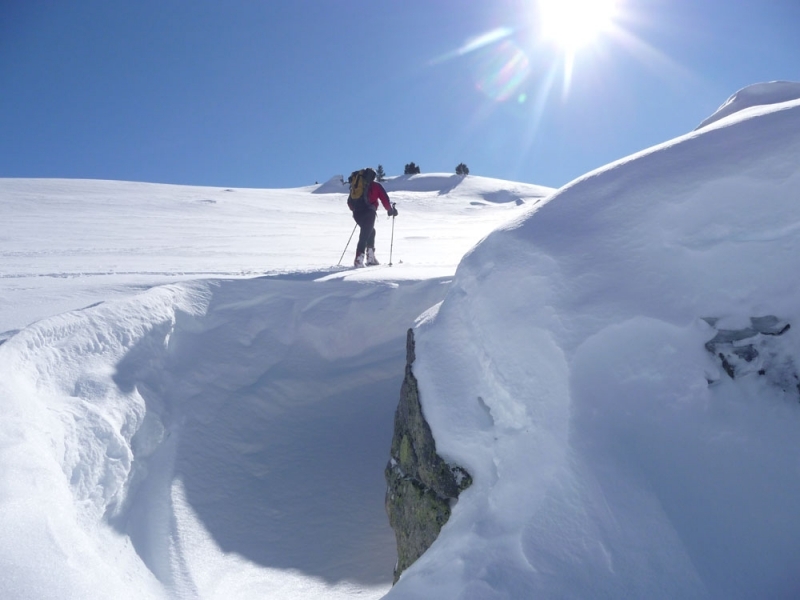 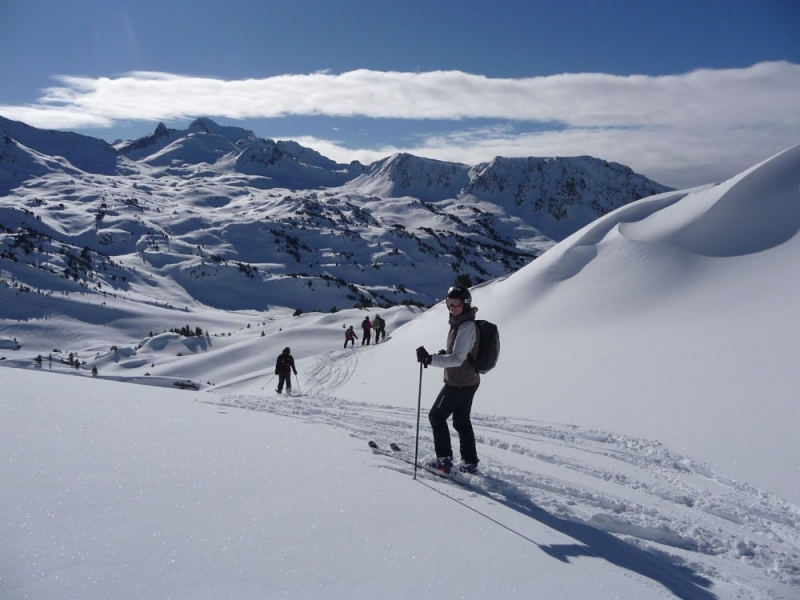 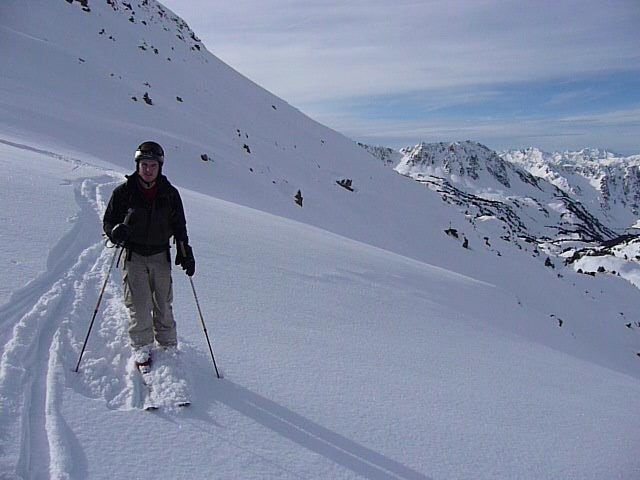 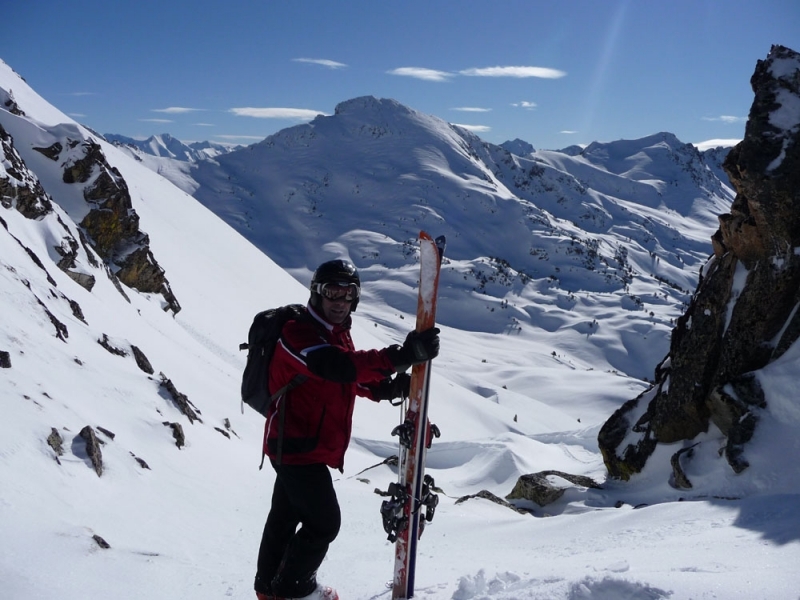 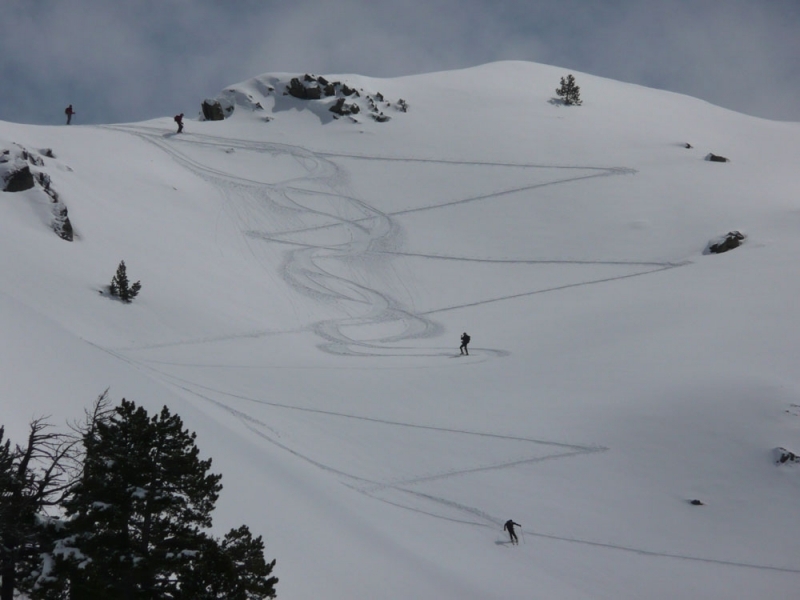 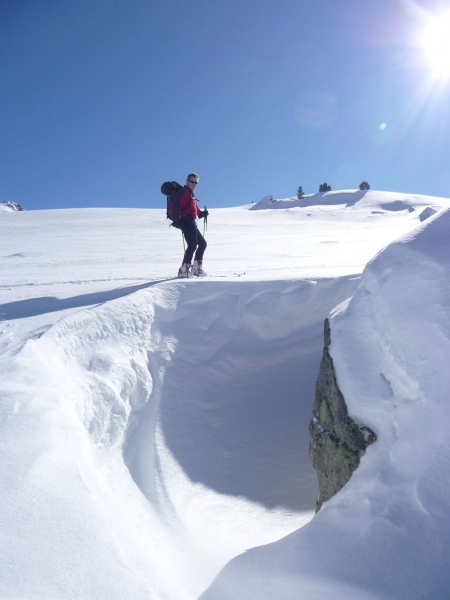 Ski touring holidays in the Pyrenees mountains with expert, local guiding. 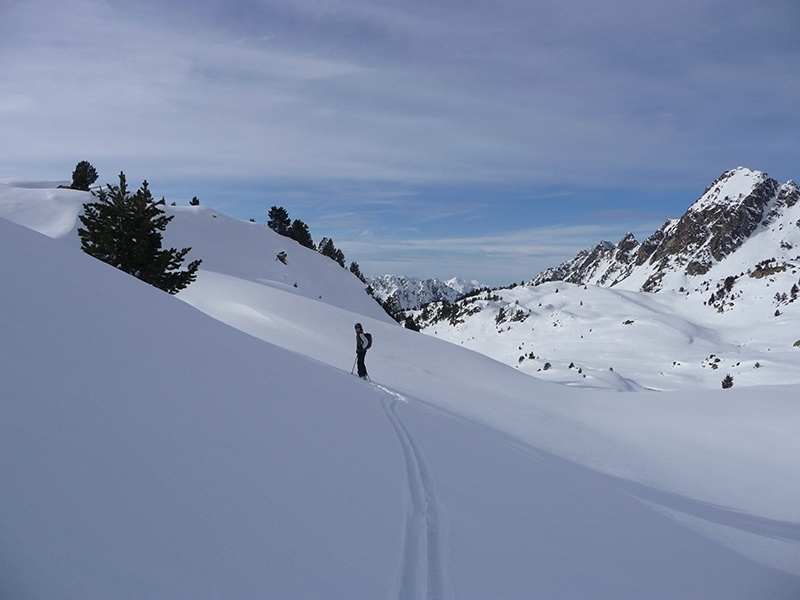 The 800km long unbroken spine of the Pyrenees makes for an ideal place to get off the beaten tracks and ski tour / ski mountaineer into the real mountains. 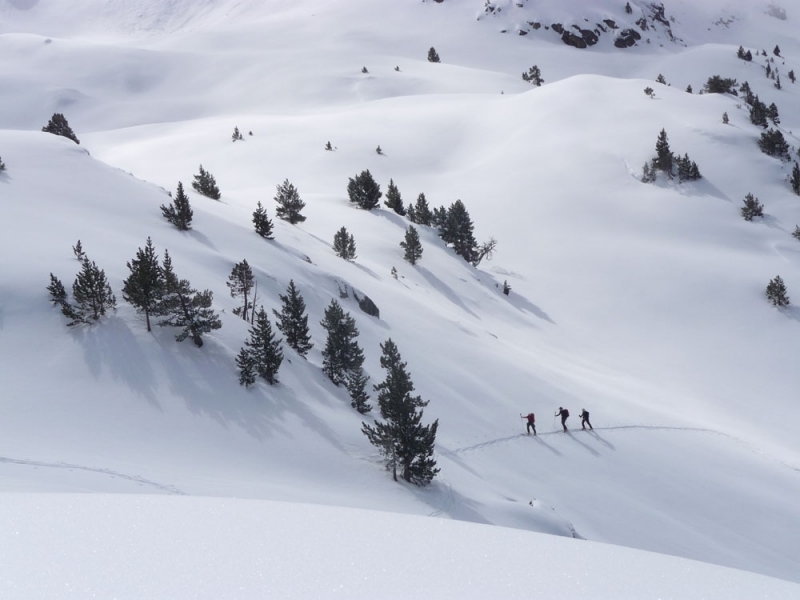 With countless acres of undeveloped and spectacular mountainous terrain, in the Pyrenees it is easy to escape the ski resorts and discover an untouched Winter wilderness. 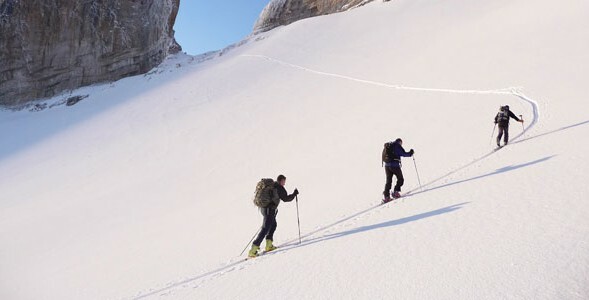 Ski touring or ski mountaineering is a technique which allows experienced skiers to travel across all different types of terrain and snow conditions in the open mountains. 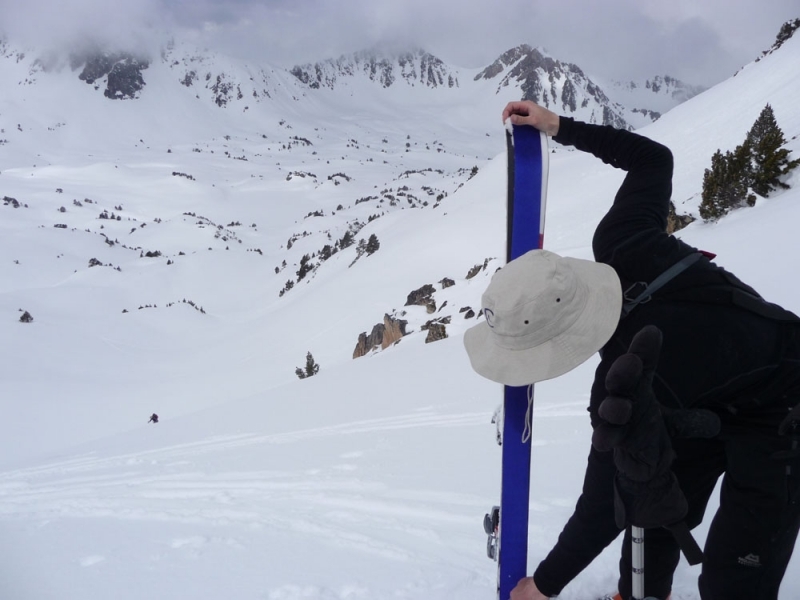 Using a special type of binding, your heel is left free for uphill skiing. 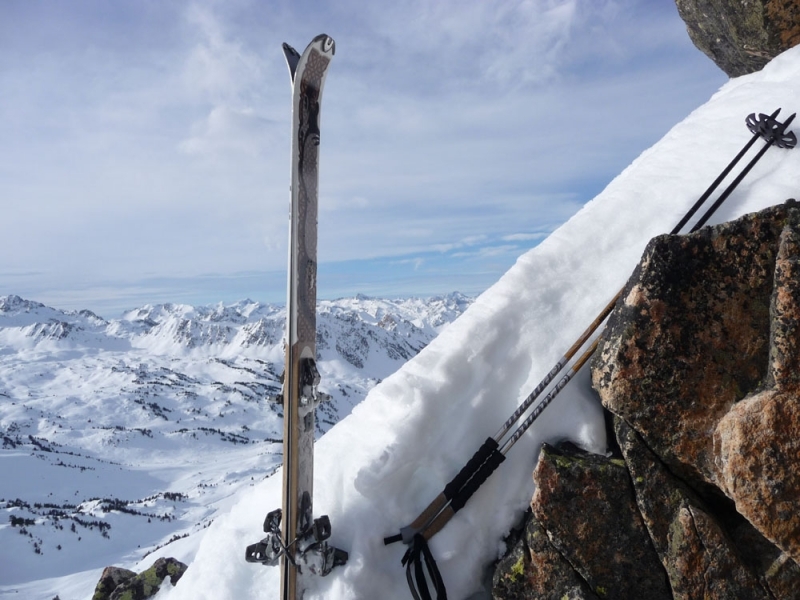 Synthetic skins are attached to the bottom of the ski, which grip the snow for easy climbing, then during descents the skin is removed, the heel clips down and you ski in a normal, Alpine fashion. 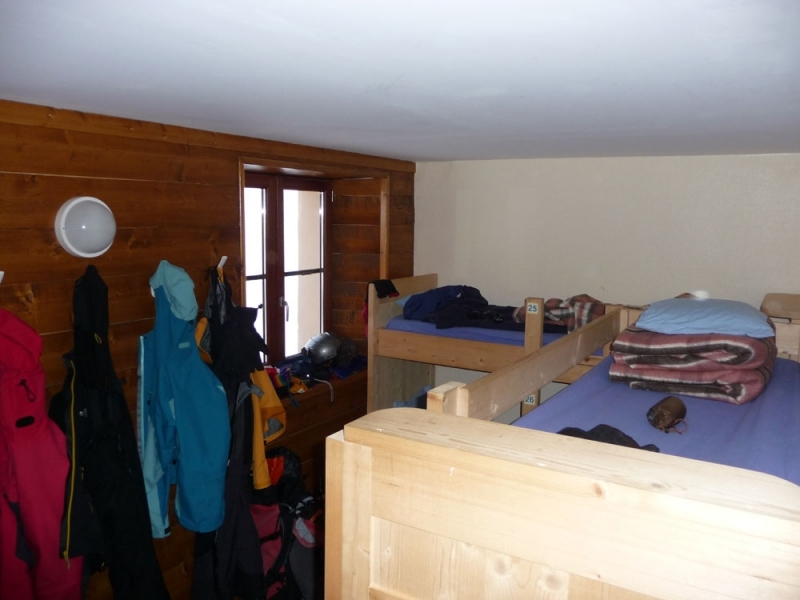 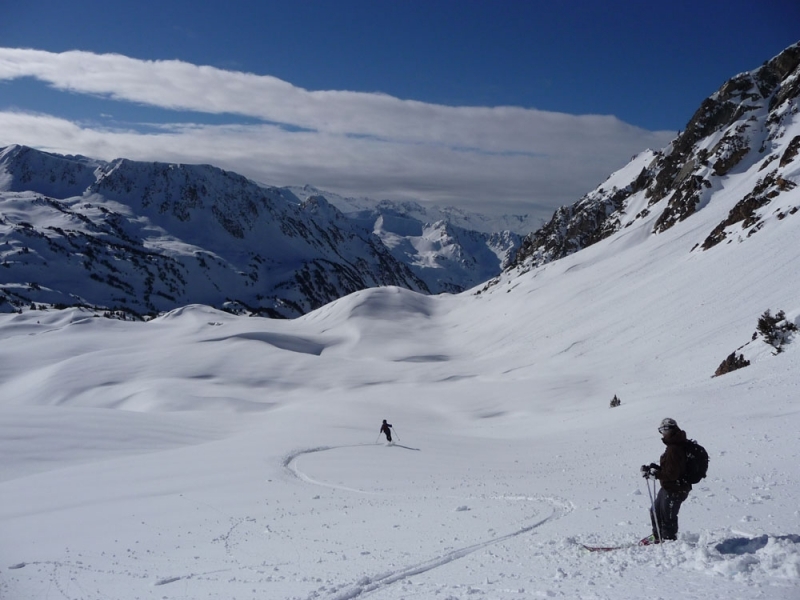 The wild interior of the mountains can be opened up to skiers who are comfortable on red-runs in all conditions, have some experience off-piste skiing and are confident at controlling their speed. 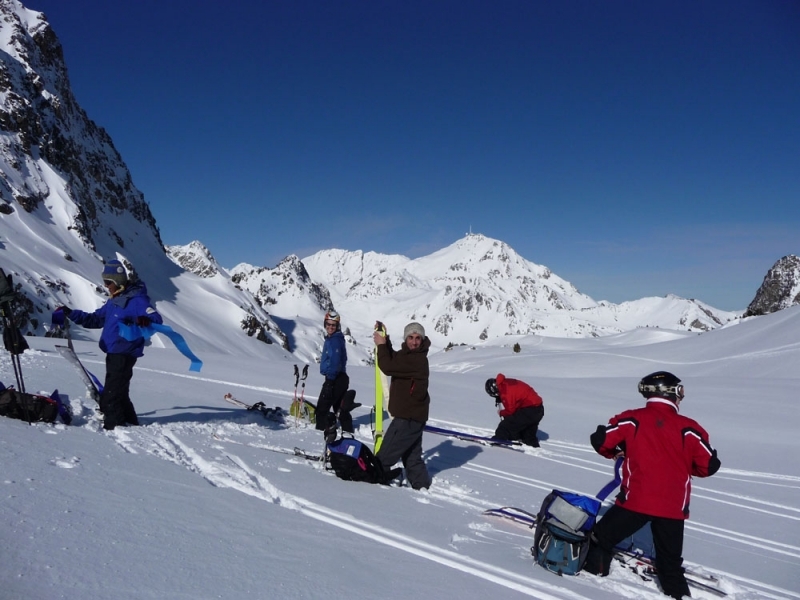 Please see below for more information on fitness and ski experience. 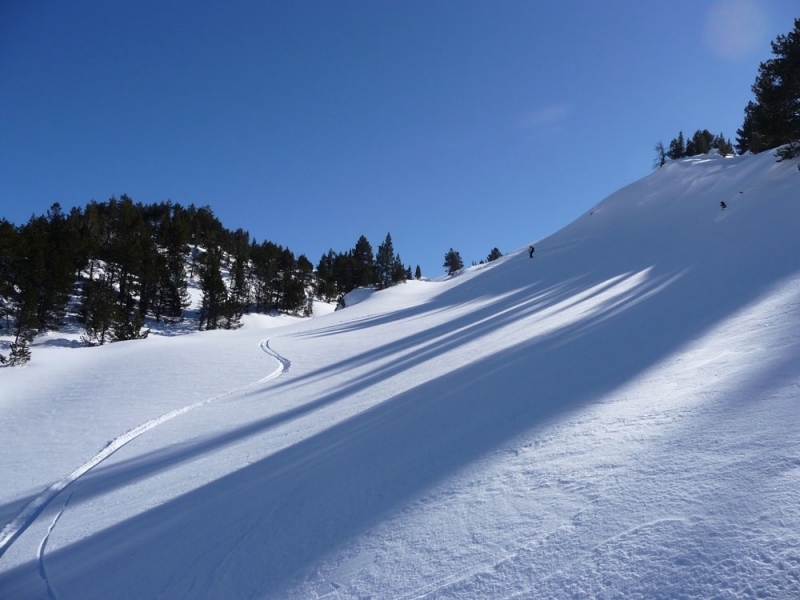 Our Pyrenees and Expedition ski touring holidays are also open to “free heel” Telemark skiers. 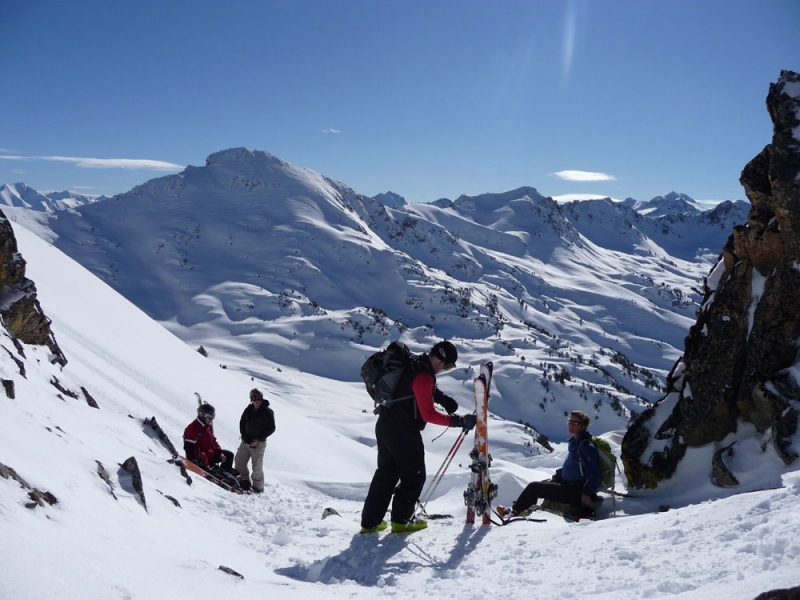 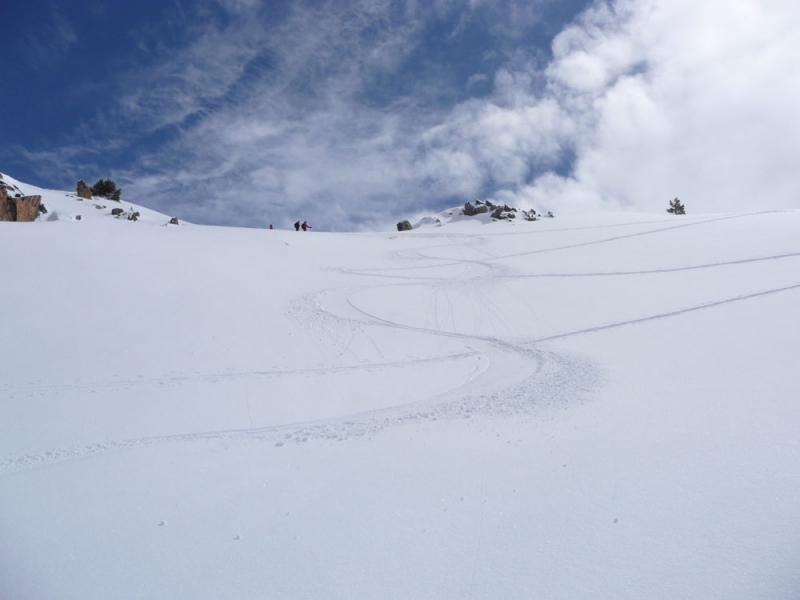 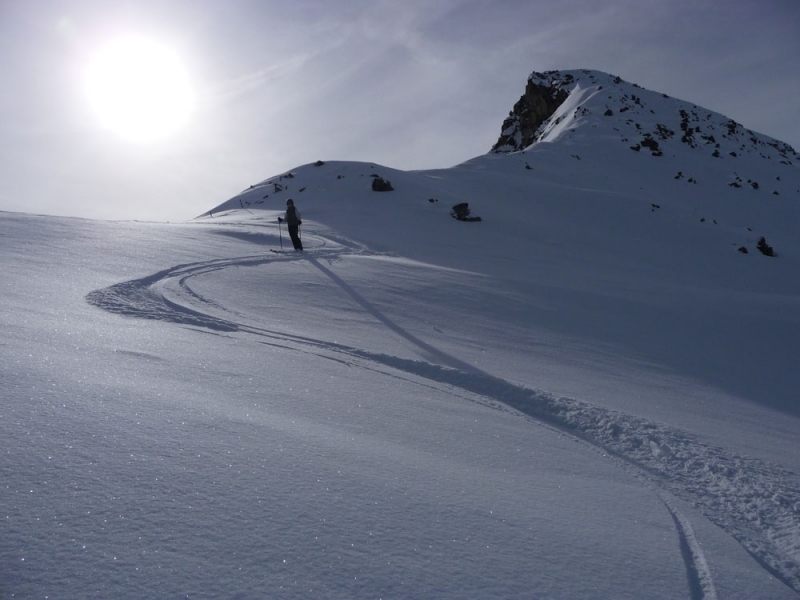 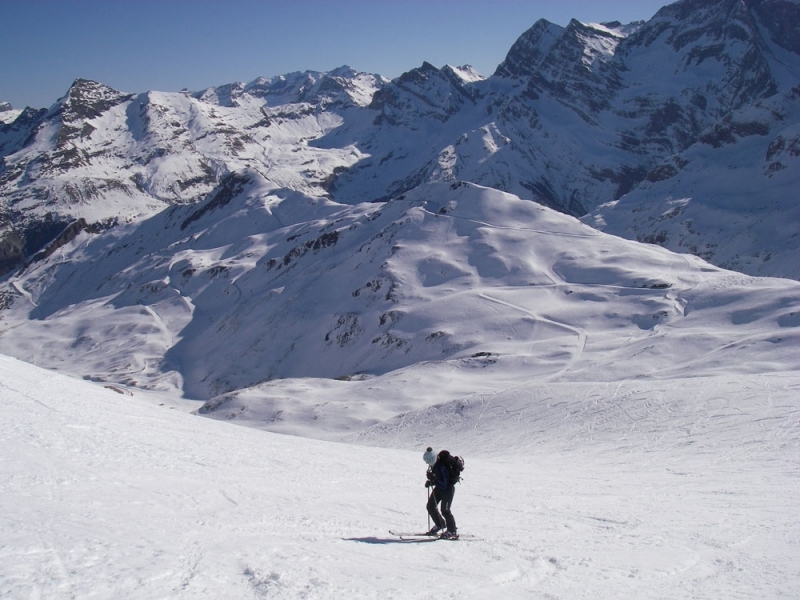 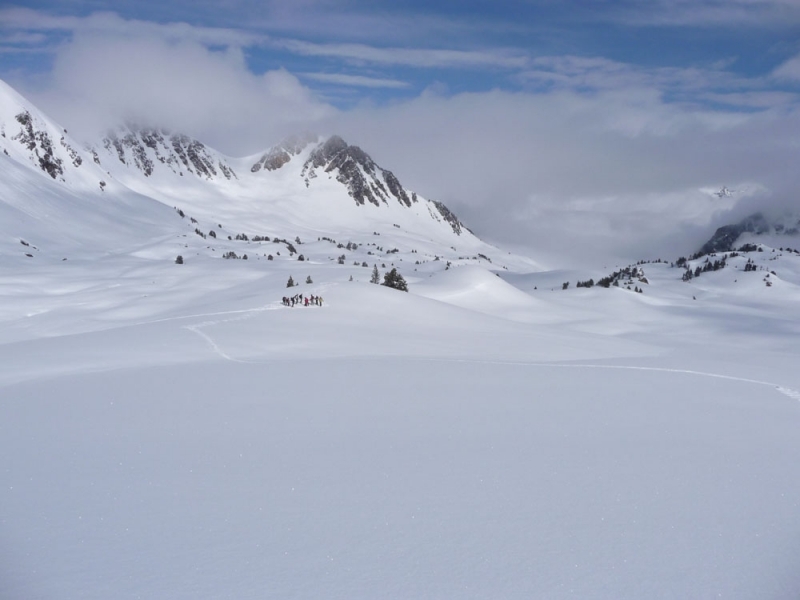 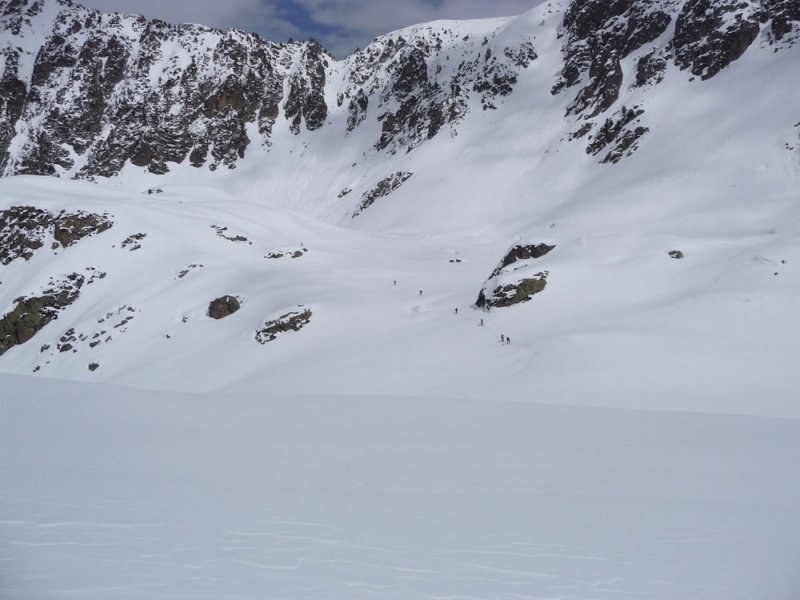 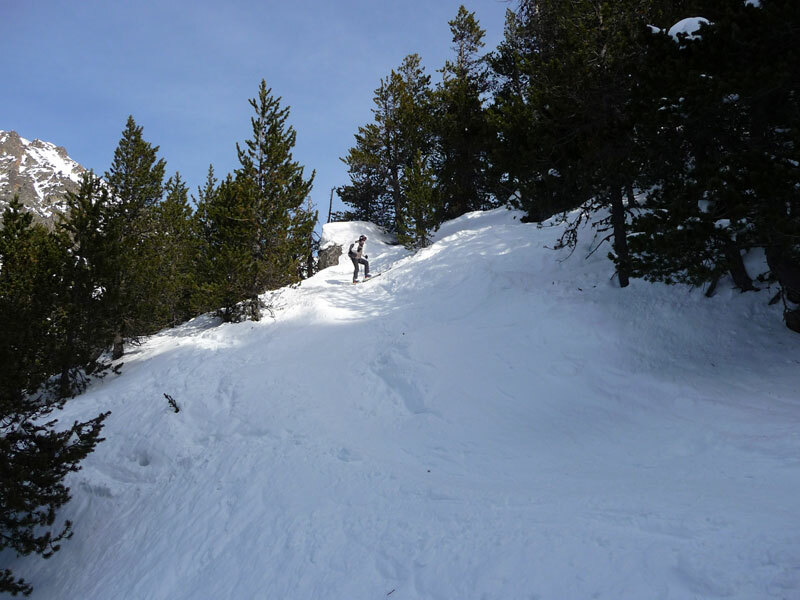 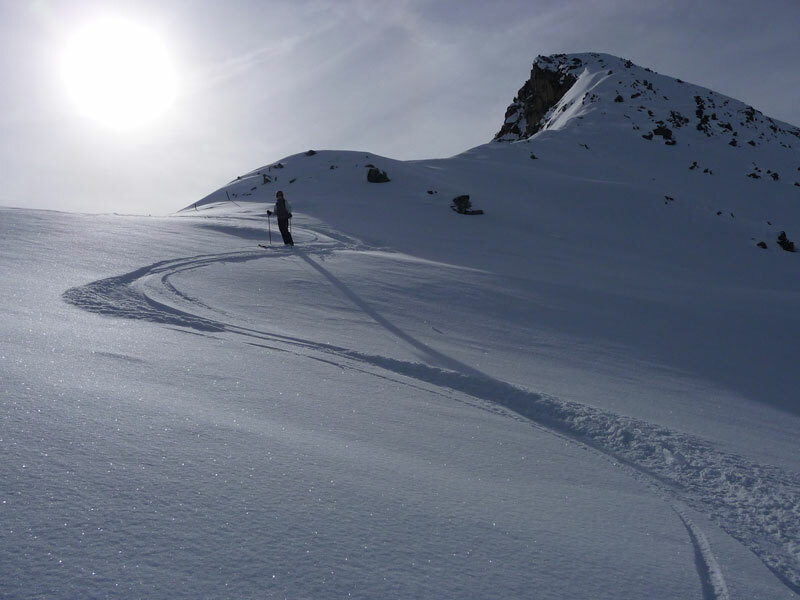 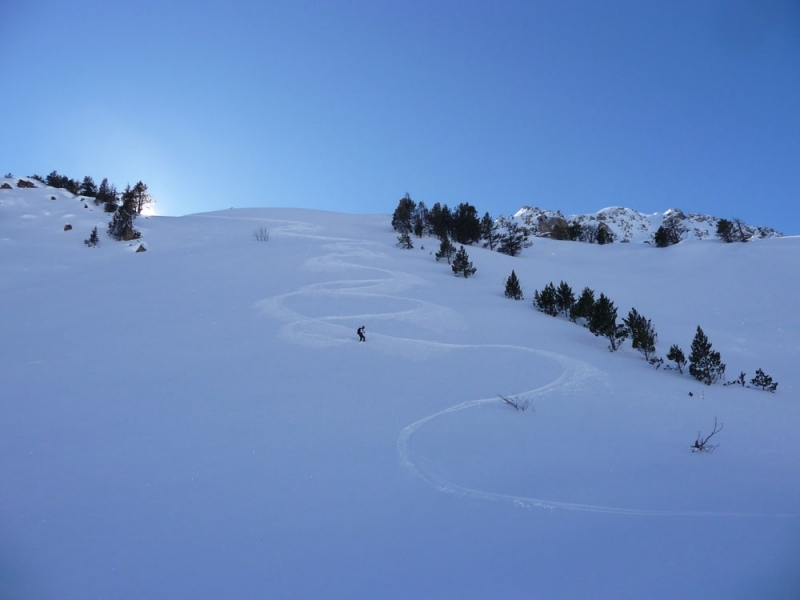 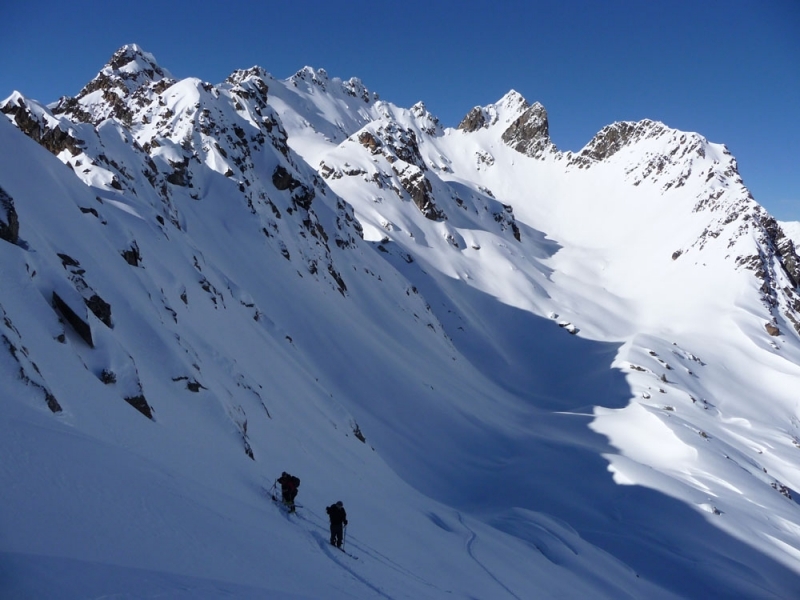 We offer different levels of ski touring holiday in the Pyrenees, using qualified local guides with a lifetime of experience skiing and exploring the area. 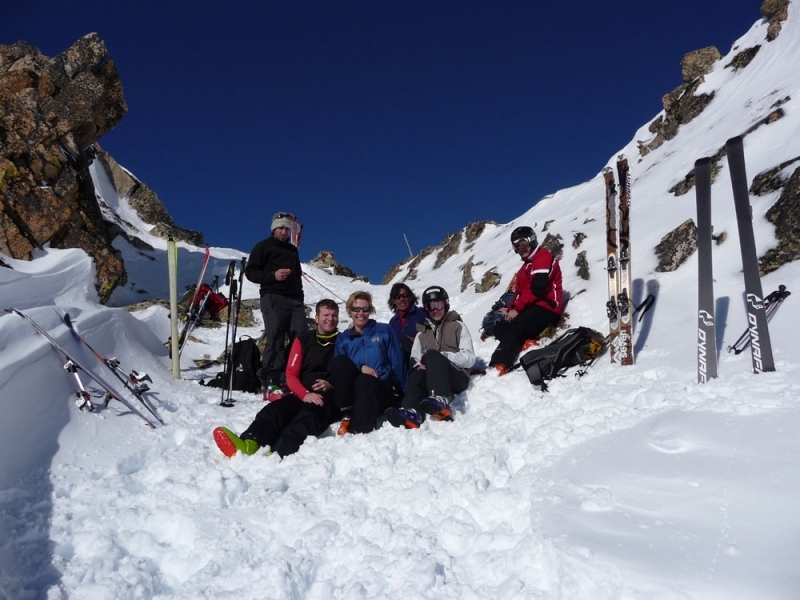 We also run bespoke ski touring expeditions to the Alps and other classic destinations for small groups. 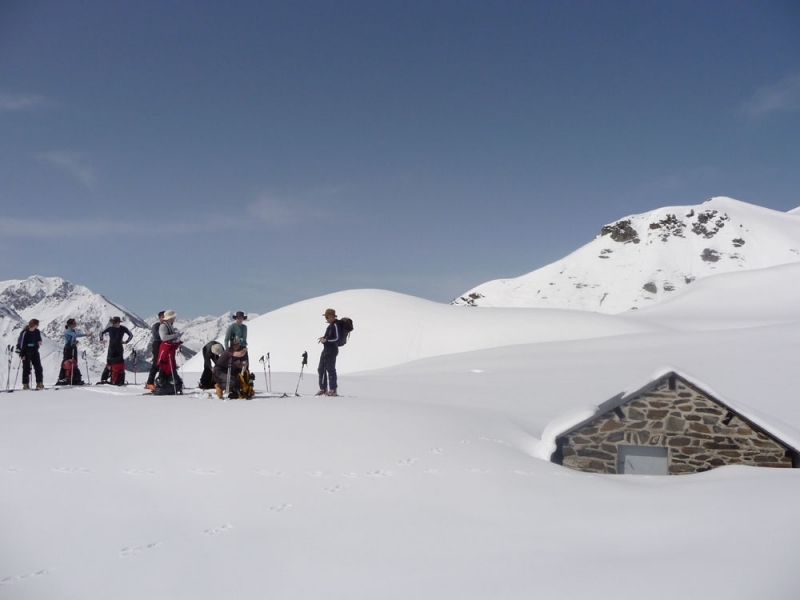 During a week’s guided ski touring in the Pyrenees you will discover the breathtaking scenery of the Pyrenees National Park and the wild glacial lakes of the Neouvielle Nature Reserve, ski to the summit of a 3000m peak, and watch the sun setting from a remote, high mountain refuge. 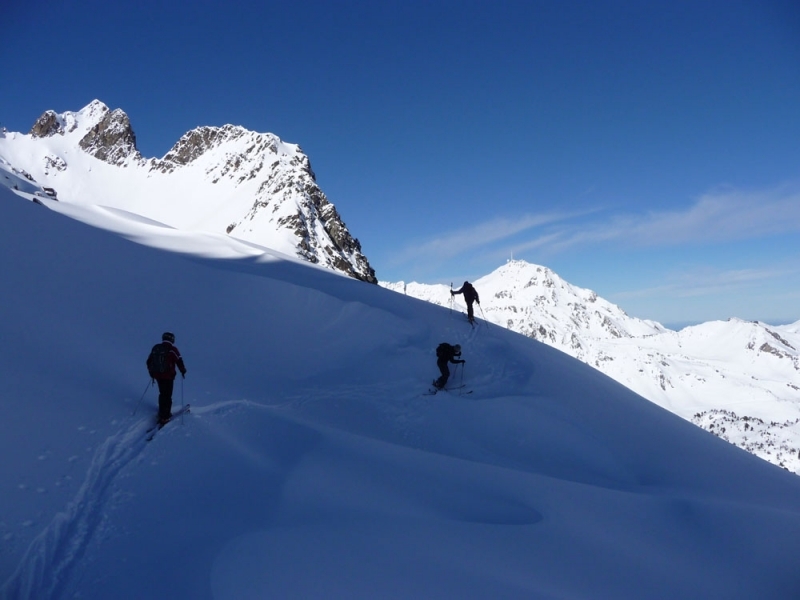 If you are joining our “Introduction” trip for your first ski touring experience, you will become familiar with ski touring equipment, learn the technique of skinning uphill and improve your off-piste skiing skills in a variety of different snow conditions. 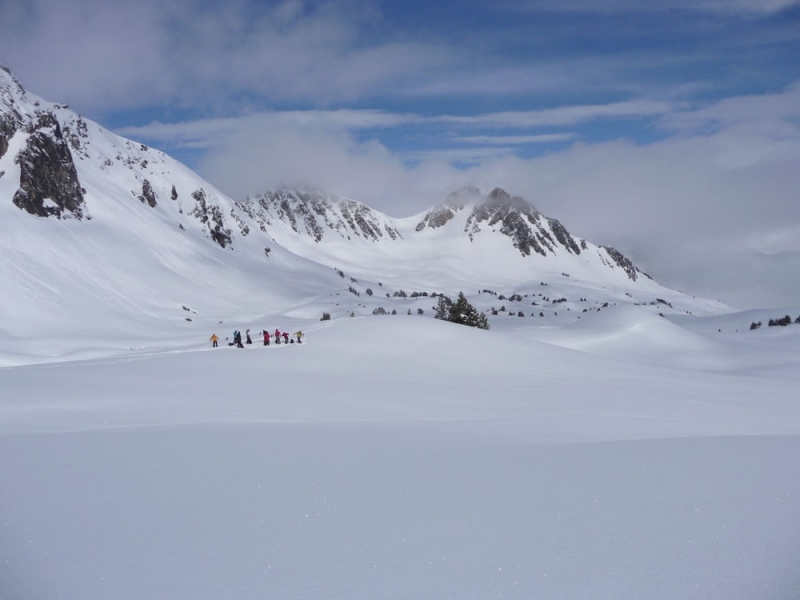 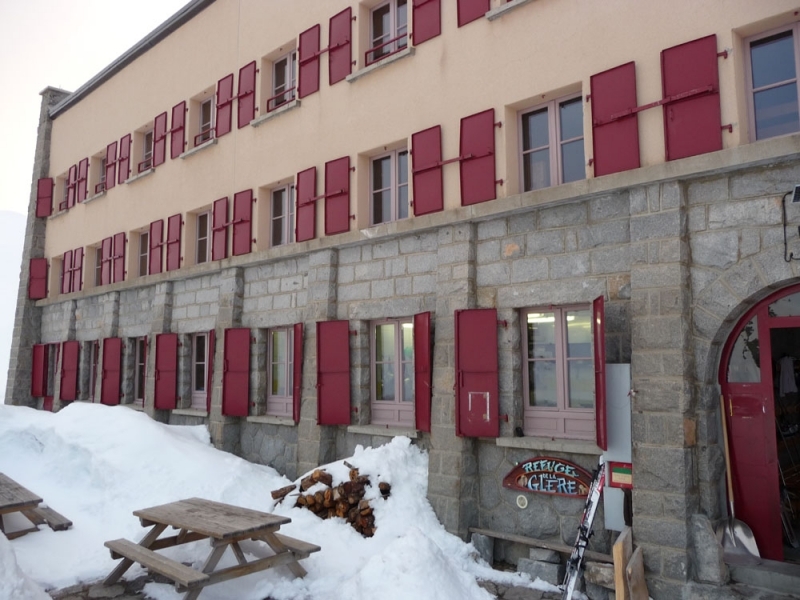 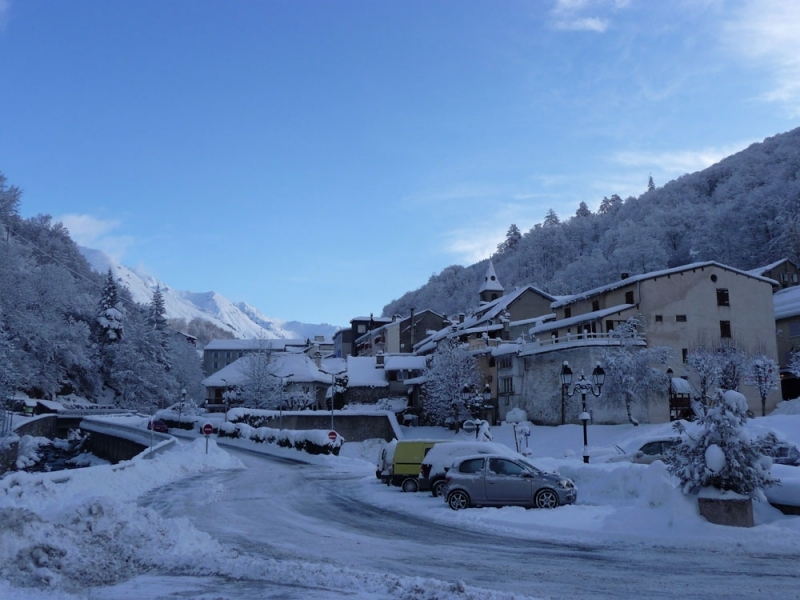 Despite this trip being primarily aimed at beginners, you will quickly progress from the ski slopes to the back country, and have the chance to complete some exhilarating day tours as well as a two-day overnight refuge expedition into the Pyrenees National Park or the Neouvielle Nature Reserve. 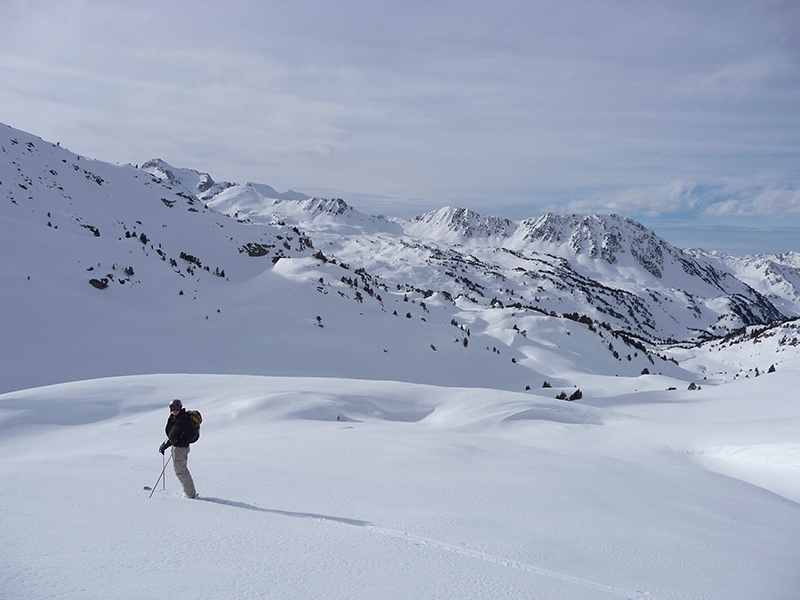 Our “iconic” trip explores deeper into the Pyrenean wilderness with longer and more challenging day tours, and a multi-day expedition. 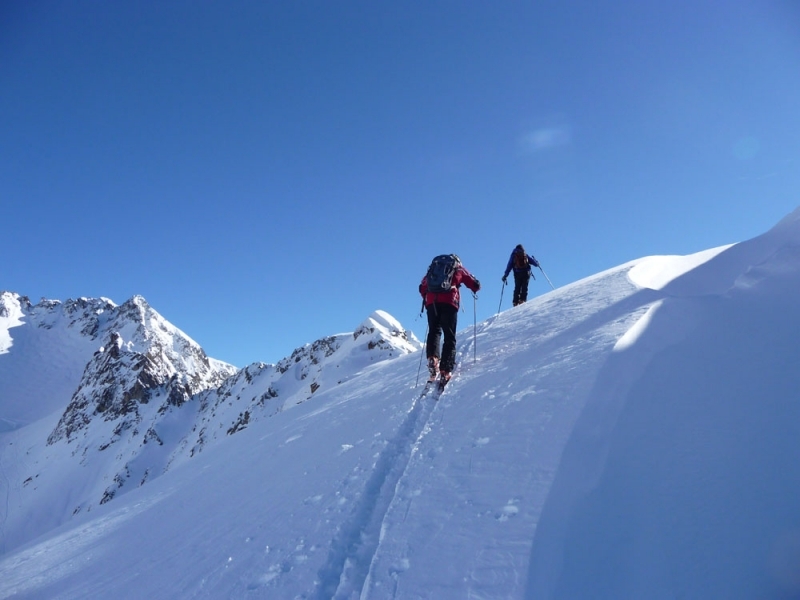 This Winter we are also offering a full-week expedition trip to the Alps on the classic Alpine high route, from Chamonix to Zermatt, with an additional ascent of Mont Blanc (weather dependent). 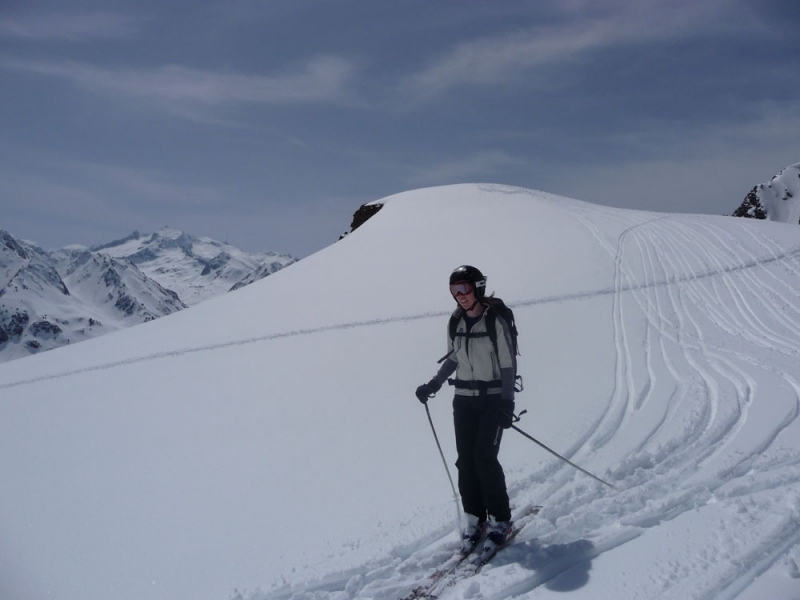 What fitness level and skiing experience is required? 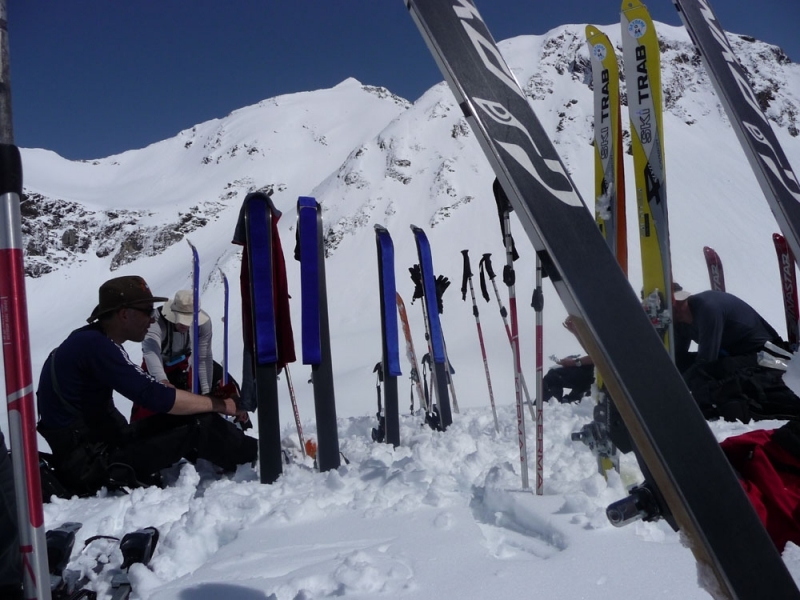 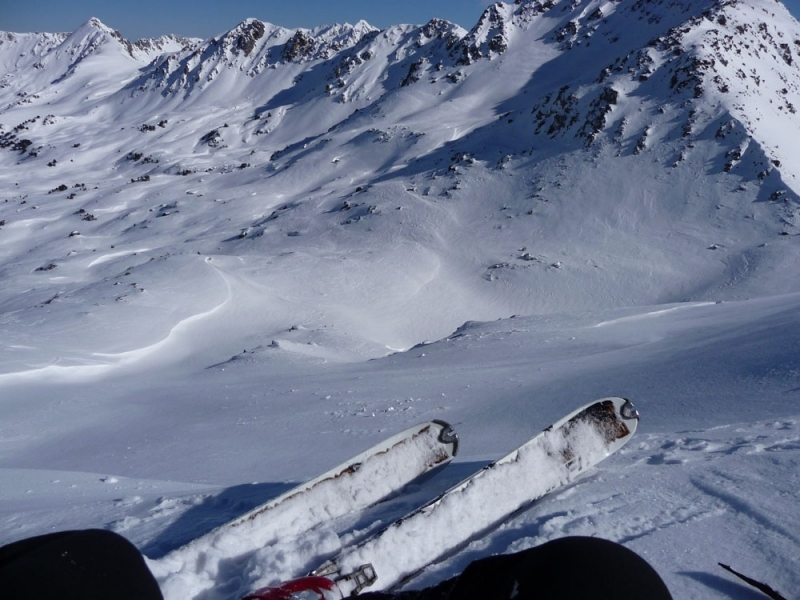 Introduction to Ski Touring, Level 1 – To get the most out of your holiday you should be a confident skier, able to make parallel turns on red runs and have a reasonable off-piste skiing ability. 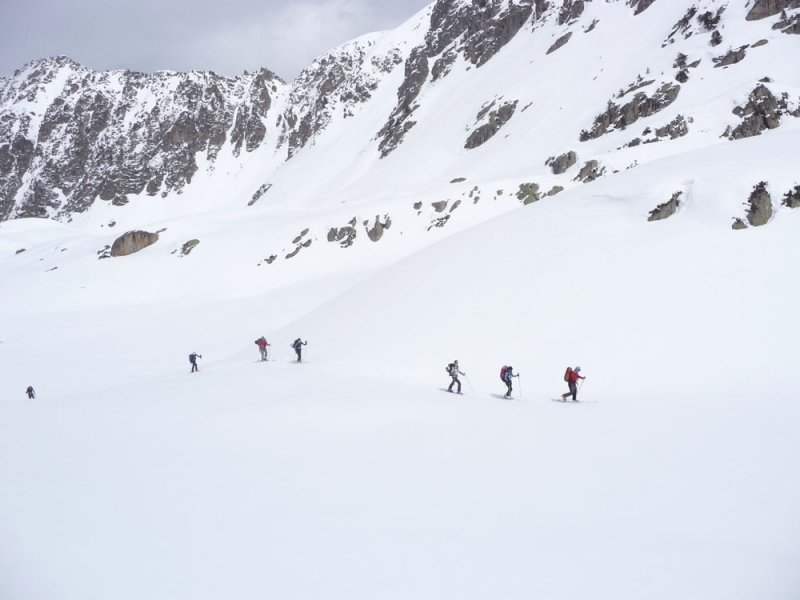 You will also need to be fit and healthy – able to walk uphill for two and a half to three hours a day, with an average height gain of 800m. 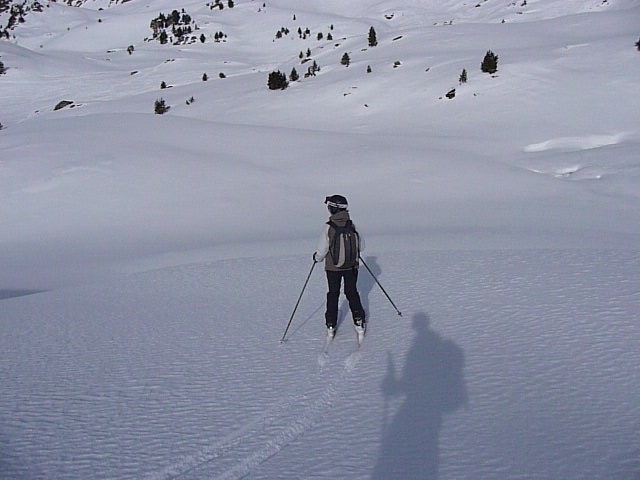 Most of our clients like to do some form of fitness training before their holiday. 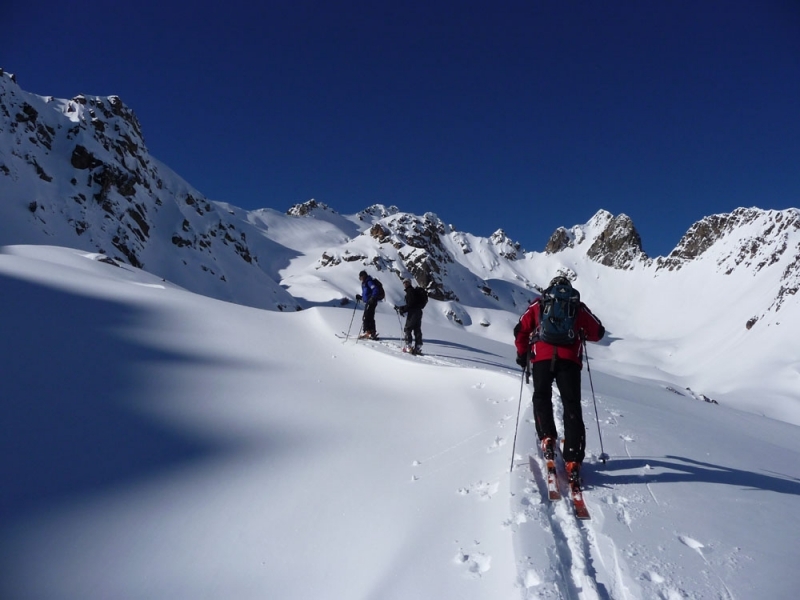 There is no need for previous experience of ski touring, as our guide will introduce you to the new equipment, cover the techniques of skinning (uphill skiing) and offer advice on improving your off-piste skiing. 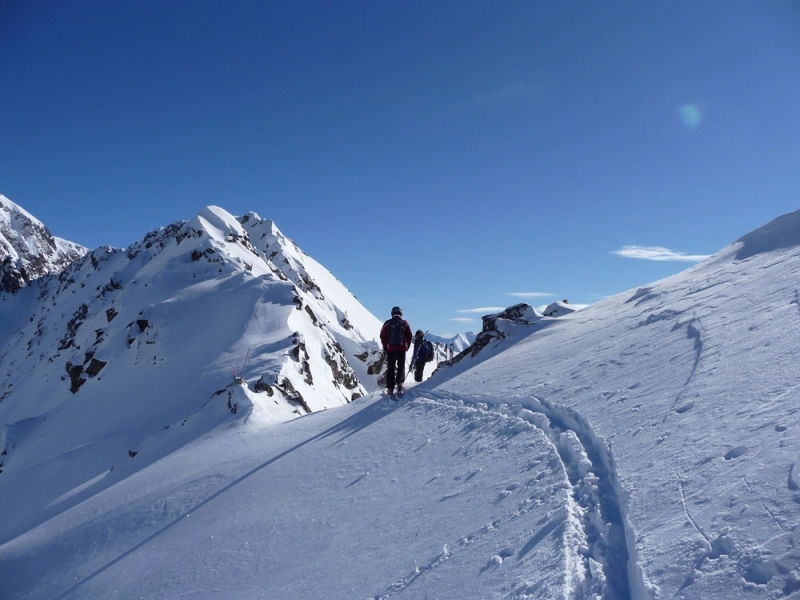 It is, however, important that you are confident skiing in a variety of different snow conditions and be keen to push your boundaries. 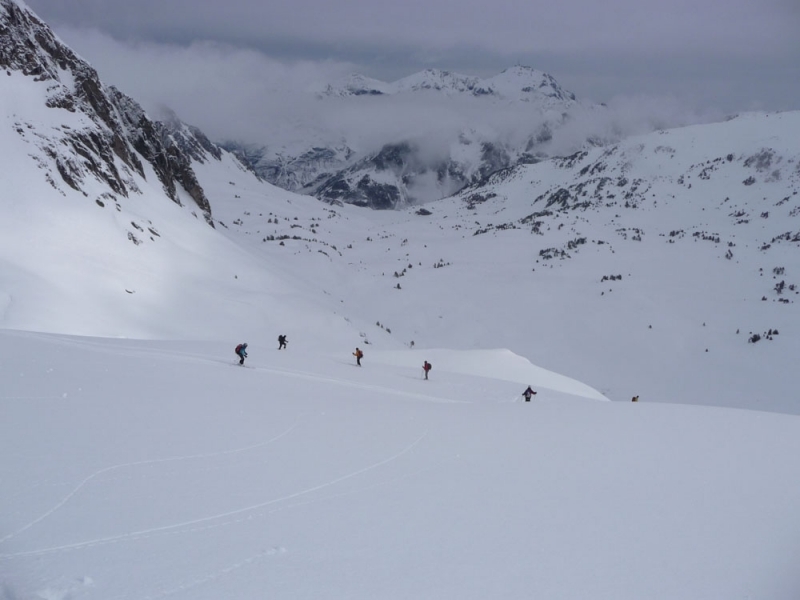 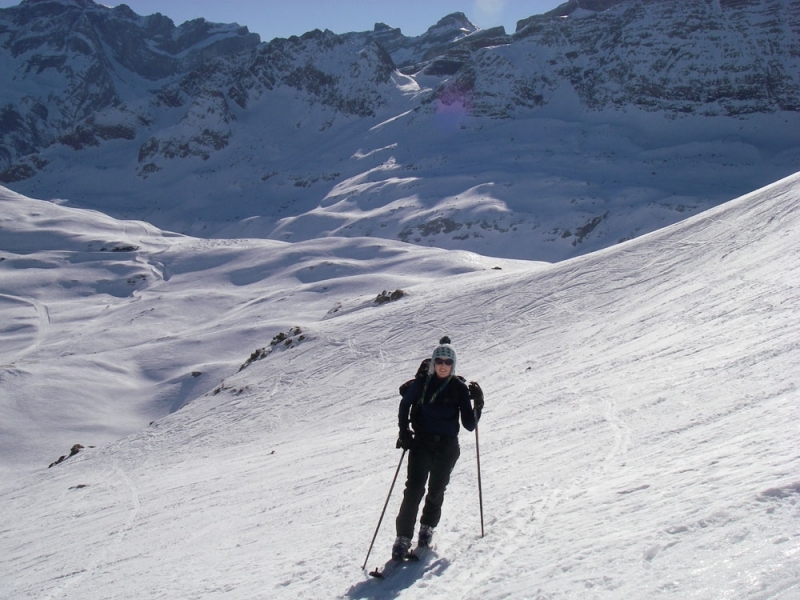 Iconic Ski Touring, Level 2 – This trip is aimed at experienced off-piste skiers with a good level of fitness. 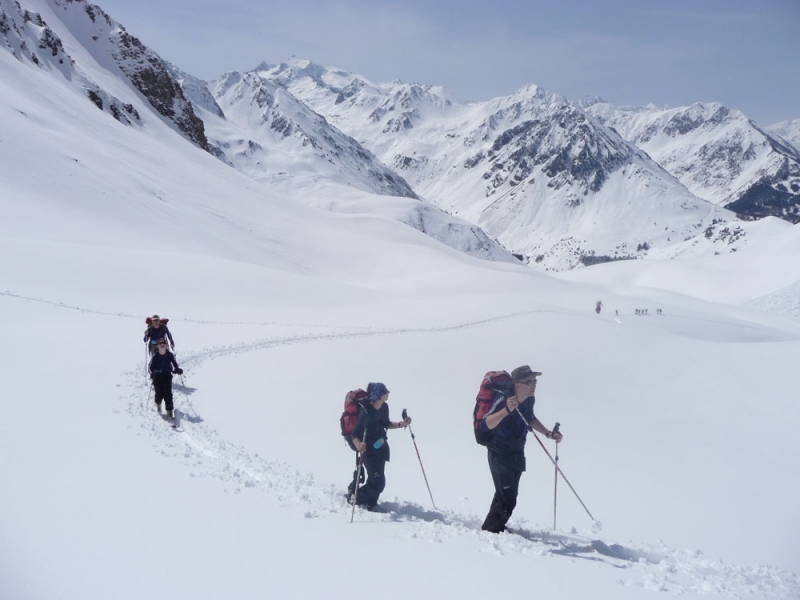 The level is more committing than our “Introduction” trip, as the week includes a two- or three-night mountain refuge based expedition with minimum distances that must be covered each day. 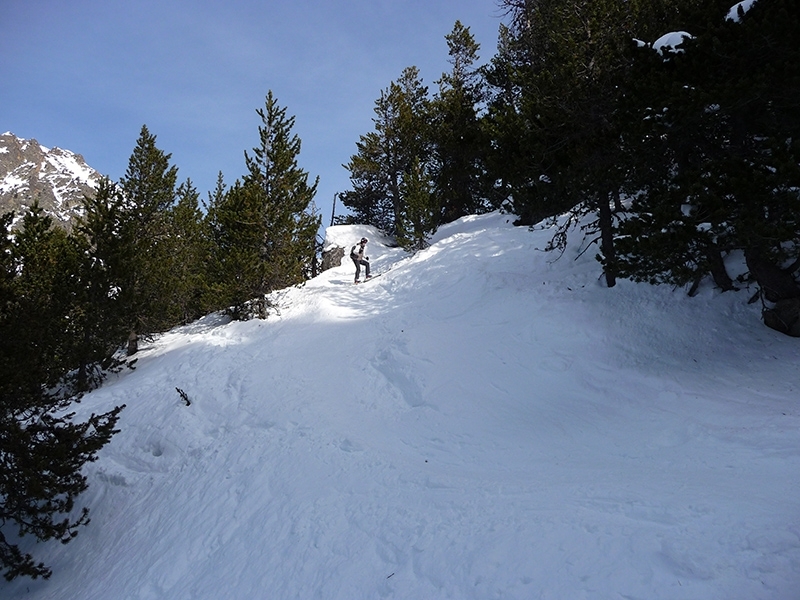 Although the itinerary will vary depending on current snow and weather conditions, there may be longer climbs and steeper descents. 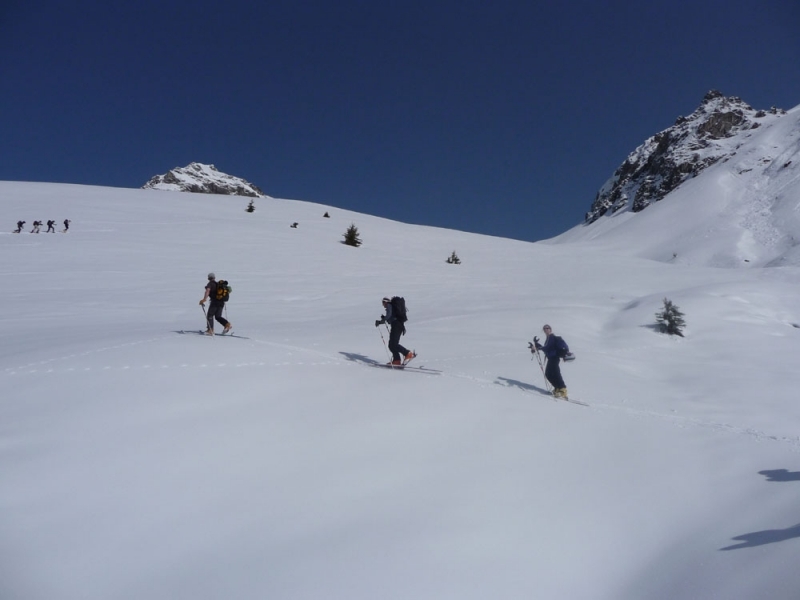 There is less emphasis on the techniques of ski touring, as we assume that you have some previous experience of back-country skiing, however our guide is always on hand to offer help and advice. 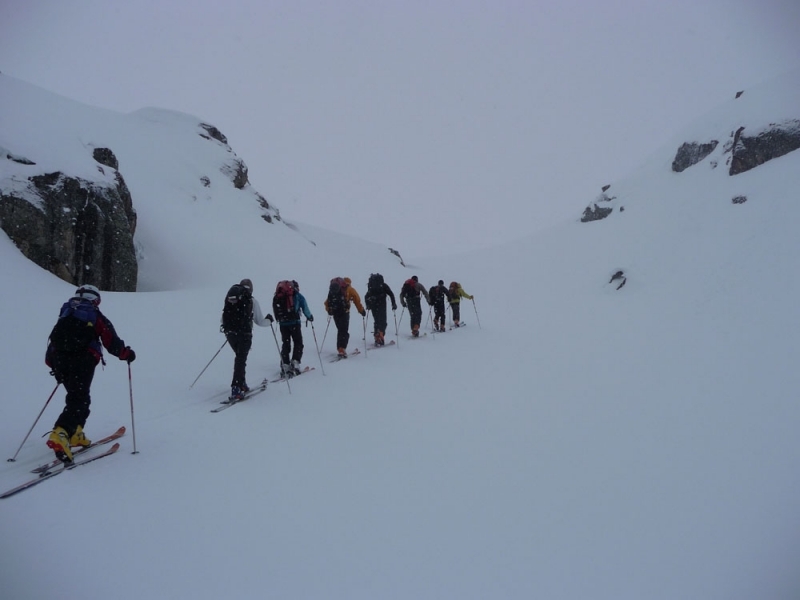 Routes will be adapted to suit the particular interests and abilities of the group. 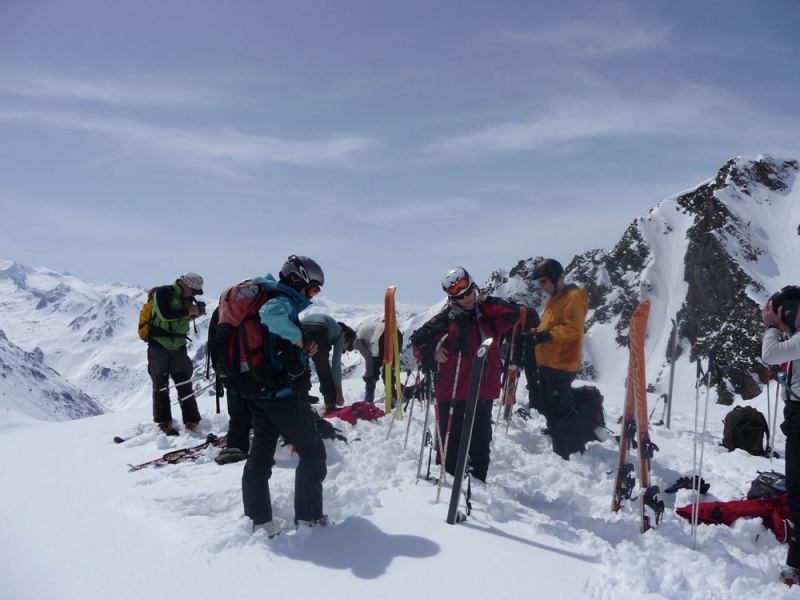 Classic Alpine Haute Route, Level 2-3 – A special end-of-season tour aimed at experienced ski tourers. 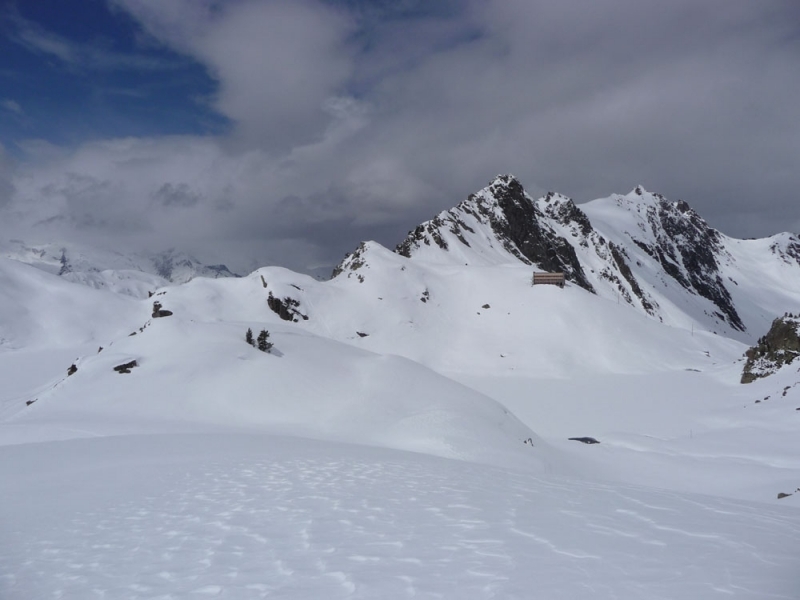 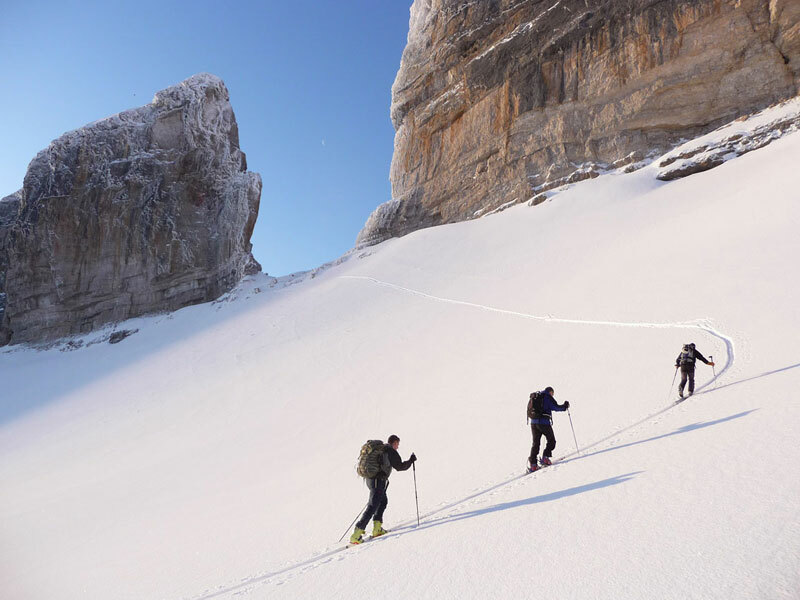 This trip closely follows the original line taken by Marcel Kurz and Professor Roget in 1911, passing by the Southern Grand Combin and the Cabin de Val Soray. 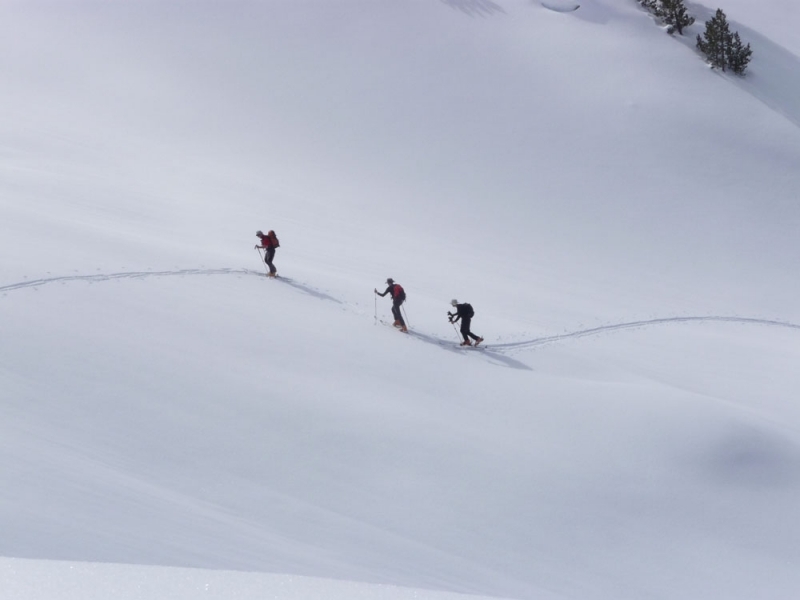 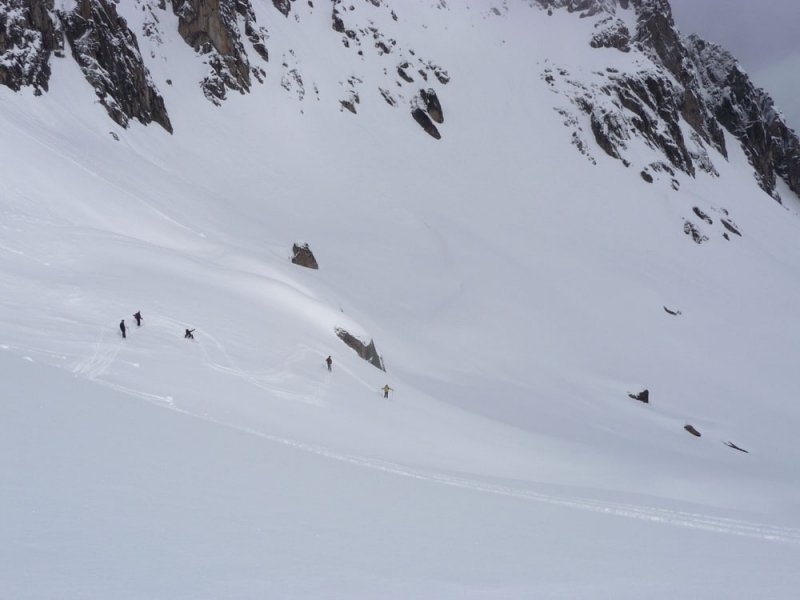 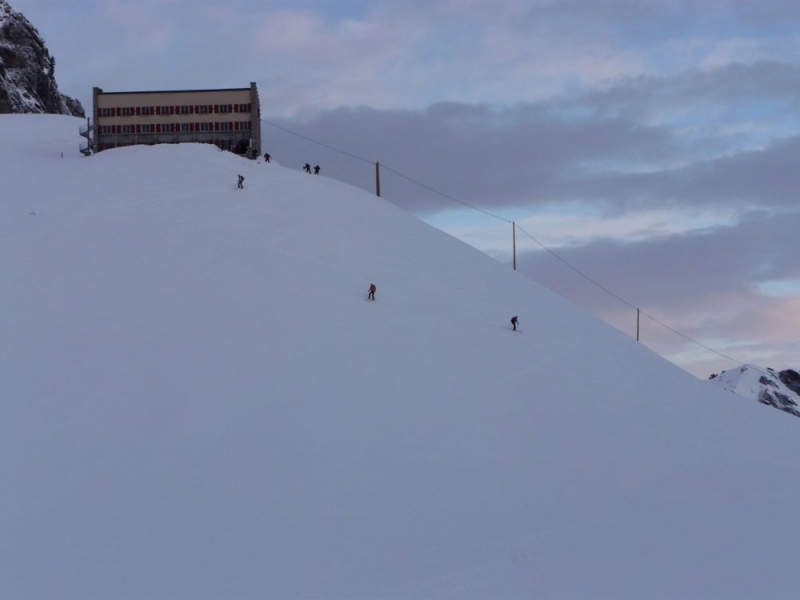 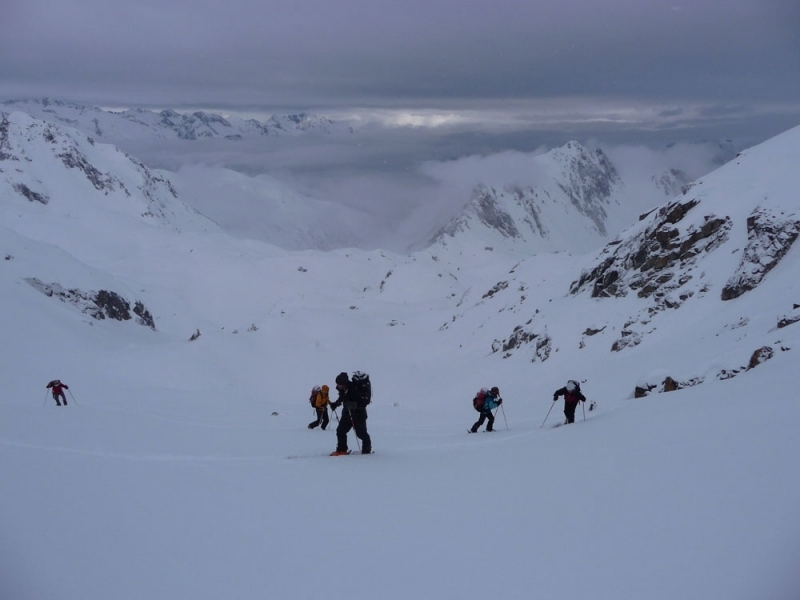 The traverse is a hut-to-hut trip requiring a good level of fitness over long days, previous experience of ski touring in variable snow conditions and a confident off-piste skiing technique in mixed snow conditions and on varied gradients. 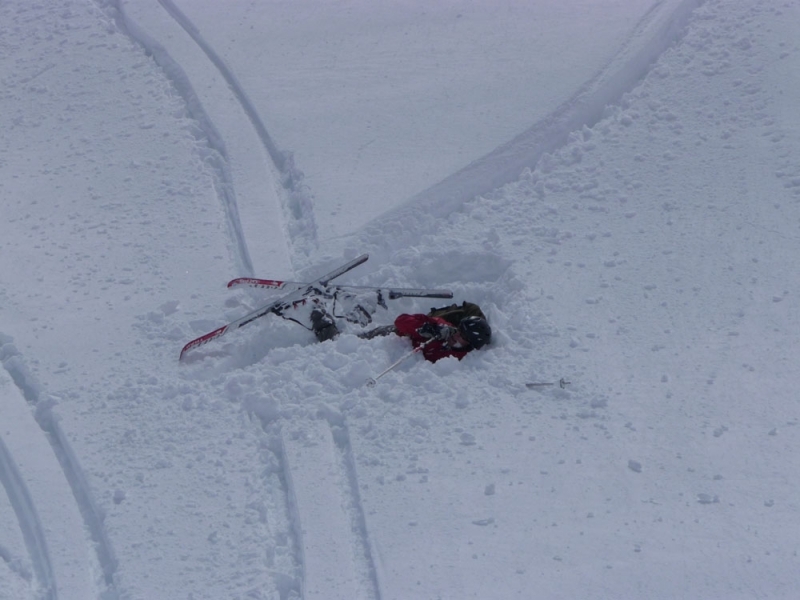 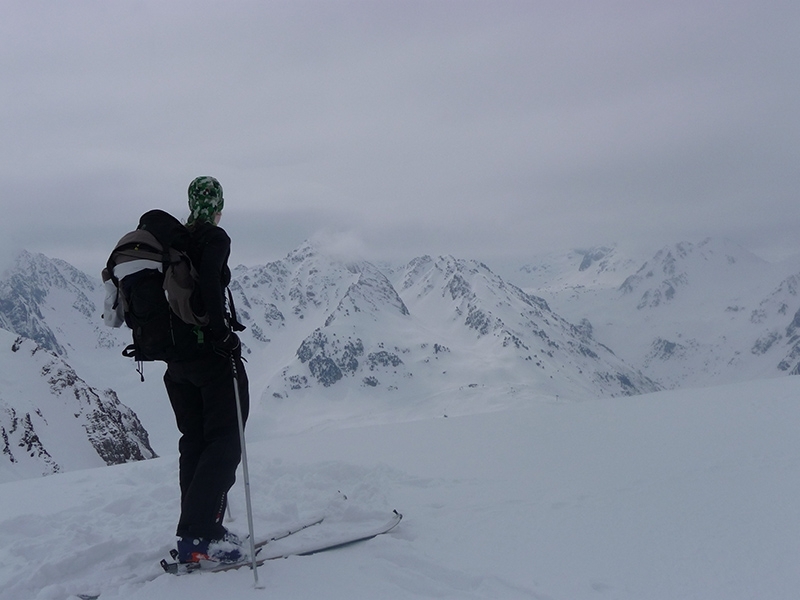 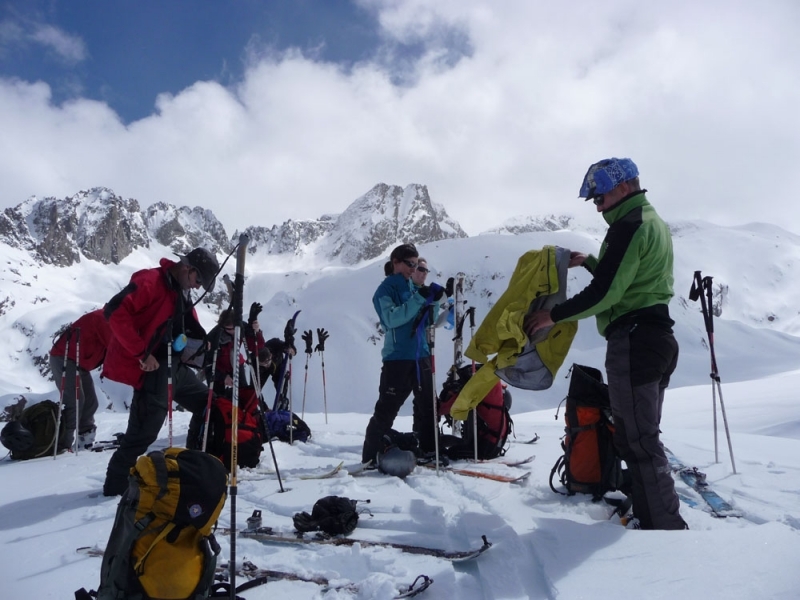 Mountainbug ski touring trips are led by experienced, qualified local guides. 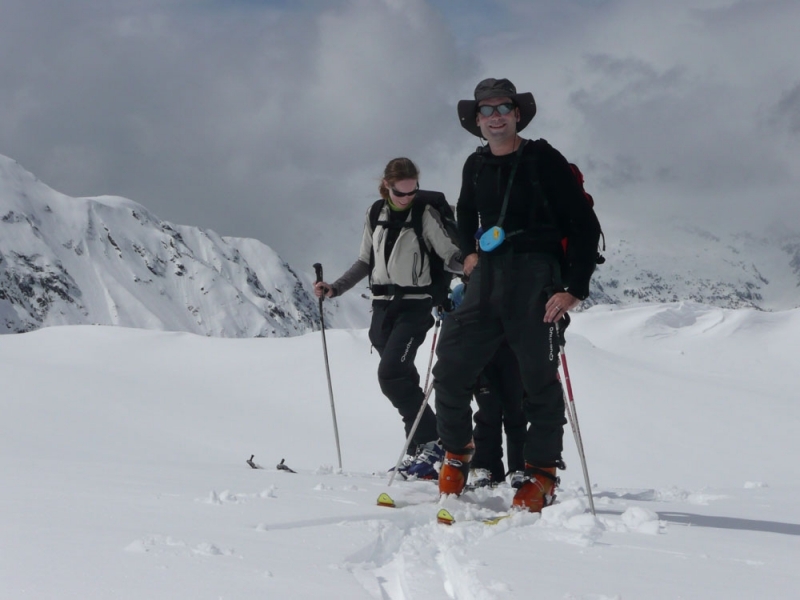 They will give you instruction where necessary, as well as planning your routes so that they are safe, enjoyable and at the right level for you.